The North’s diamond mines focus on improving energy usage; reducing greenhouse gas emissions and realizing savings. Likewise, companies that are developing mines are aware of the need for energy efficiency; especially when faced with carbon taxation and the North’s high-cost operating environment. This approach occurs before mining begins. For example, during the exploration stage, Avalon Advanced Materials incorporated innovative renewables at its Nechalacho Project in the Northwest Territories. Avalon installed and operated a renewable energy system integrating diesel generator, battery bank, inverter system and solar panels. The initial motivation was to reduce diesel consumption and associated costs. The battery bank also enabled the use of safer, high efficiency tent heaters, leading to even greater savings in diesel consumption. The project reduced energy use and lowered greenhouse gas emissions. Canadian Zinc, which released its feasibility study in 2017 for the Prairie Creek Mine, could begin production as early as 2020 and, with the proposed all-season road access, greener energy like liquefied natural gas (LNG), becomes an option. Canadian Zinc the Northwest Power Corporation have signed an MOU to investigate further. Fortune Minerals’ proposed Nico Mine would also have the option to use LNG fuel once all-season road access is completed. Nationally, the Mining Association of Canada (MAC) and its members are committed to ongoing improvement and are continually innovating to protect the environment, improve their energy use, and reduce greenhouse gas emissions. 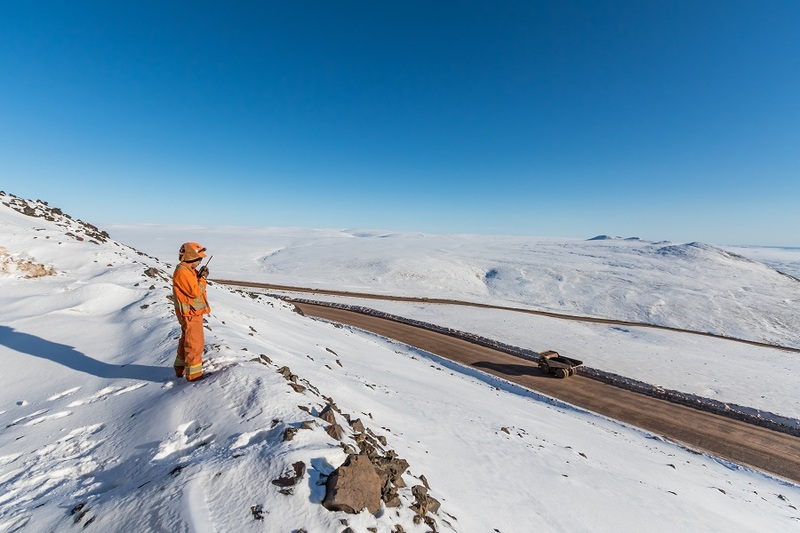 Over the past two decades, MAC’s member companies have improved energy efficiency and reduced emissions at their operations through measures such as MAC’s mandatory Towards Sustainable Mining initiative and through mine site innovations. Beyond energy, fuel, and process efficiency, member companies are also engaged with local communities on numerous climate change projects. In today’s operating environment, mining has a clear role to play when it comes to clean technology. The industry produces raw materials for renewable energy products, like wind turbines, solar panels, and electric cars. For example, lithium batteries, which are increasing substantially in demand, require cobalt. The NICO project contains significant amounts of cobalt in addition to its gold, bismuth, and copper and would become an NWT source of this raw material the world needs to transition to a low carbon future. Measuring mining’s future success will include how innovatively and responsibly it produces many similar metals and minerals to fuel the green economy and incorporates the resulting technologies at its respective resource developments and operating mine sites.